One of the hottest targets in mineral exploration is diamonds. Diamond exploration continues to be well funded with many of the majors (Ashton, BHP-Billiton and De Beers) at the leading edge of both financing and exploration worldwide. In addition, many junior exploration groups are also seeing opportunities for discoveries — realizing the benefits of flow-through financing and growing exploration excitement in many jurisdictions. Considerable excitement these days is coming from juniors such as Canabrava Diamond Corporation. Canabrava’s exploration program focuses on Canada and Brazil and is paying off most recently at Hadley Bay. In a joint announcement Diamonds North Resources Ltd. (the Hadley Bay operator and 100% owner of the Blue Ice project) and Canabrava reported that macrodiamonds were recovered from each of the first three kimberlite samples processed from the King Eider pipe. 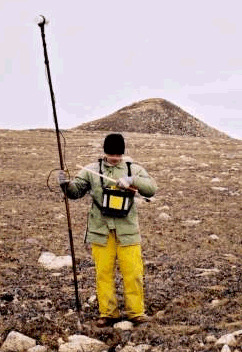 The King Eider kimberlite pipe was originally located using airborne geophysics. A recent detailed ground geophysical survey, carried out prior to drilling, has shown that King Eider is a large complex kimberlite — which includes the Jaeger, Turnstone, Sanderling and Pintail kimberlites. The magnetic anomaly measures 200 by 300 metres. 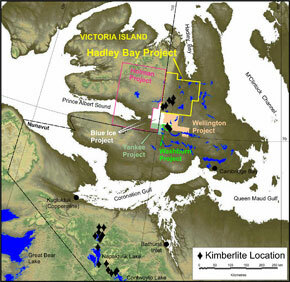 The detailed geophysical survey, core logging and diamond analysis indicate that King Eider is composed of multiple diamondiferous kimberlite phases. The success of magnetics in diamond exploration stems from the ability to quickly define the often circular and characteristic magnetic anomalies related to kimberlite occurrences. In addition, magnetics is often effective in delineating complex geologic structures, as well as kimberlite dykes or other related features. Model computed courtesy of Encom Technology. 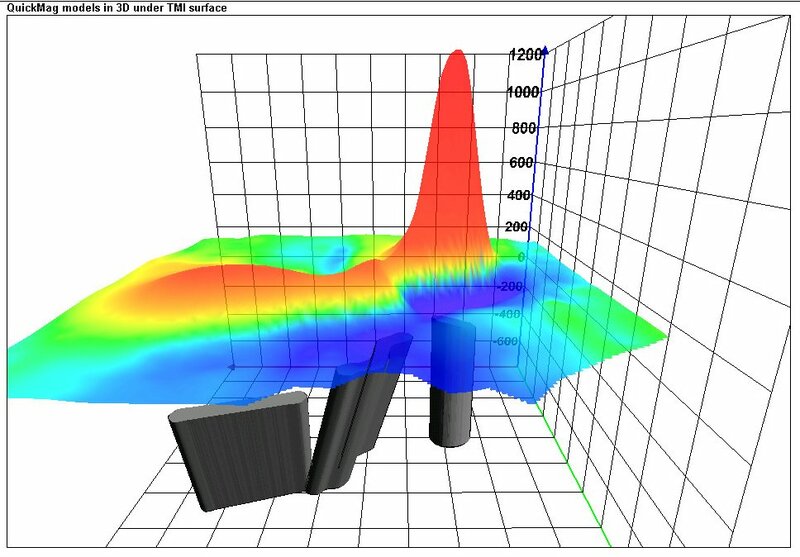 The following example shows data acquired with GEM’s GSM-19 magnetometer in the Namib Desert by another group active in exploration for diamonds. Here, we see a sharply defined anomaly with multiple components that may represent phases or multiple pipes. In addition, we see evidence of cross-cutting structures that post-date the kimberlite intrusions. Ground magnetic methods are also evolving to make the survey process more efficient. The addition of integrated GPS systems for ground-based positioning speeds up surveys. One source at a major mining group indicated that they are already looking at new strategies with their ground systems. Their approach is to send in survey teams to rapidly map 25 to 50 targets on the ground, quickly interpret the results and then return to the 7 to 10 hottest prospects. 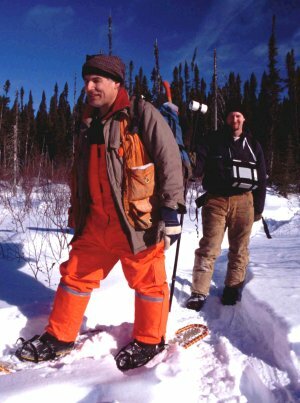 Evolutions in survey procedures are made possible through GPS that enables both geologists and geophysicists to run advanced magnetic instrumentation with ease, and position / re-locate themselves on the ground during follow-up. The result is that geologists can more effectively identify drill locations and increase the potential for drilling success. Over the past 22 years, GEM has become the standard in mineral exploration ground magnetics based on evolutions, such as the Overhauser GSM-19 magnetometer, and now, GPS. It’s great to be part of the success of junior exploration groups as well as the world’s majors who are augmenting their exploration programs with GEM – “One of a Diamond Finder’s Best Friends”. Note: GSM-19 systems for the Hadley Bay project were rented through Terraplus Inc., GEM’s exclusive distributor for Canada.